Hostile Contact Game Servers was founded in 2005 and was originally named SMAKUGAMES.COM. 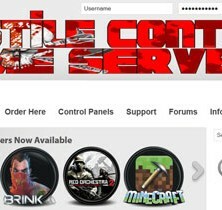 In September of 2008 a new website was created and the company name changed to Hostile Contact Game Servers. On October 1, 2008 Hostile Contact acquired AFG Servers and on December 24, 2008 we added SLP-Servers to the list. Our goal is to provide quality, reliable, and affordable game and VOIP servers to the online gaming community. Our operation is completely transparent and we encourage you to ask questions. Please take a few minutes to read some of the common misconceptions about game server providers. We tried Hostile Contact for quite a few years with an AA3 server. We had lag issues at times, but the support was was to tweak our server and fix all of our issues. Support used to answer quickly, but lately they have been slow to reply, but the knowledge is good. Prices can be in the middle range of all the competition, but paying that little extra made up for it in performance and support. Definitely can say they are a good company to go with.